Occupational therapists (OT) can do a lot by helping others, but it comes at a cost. Though the median pay for occupational therapists as of 2017 is $83,200 according to the Bureau of Labor Statistics, our consultations show that most occupational therapists are six figures in debt, and in many cases, closer to multiple six figures. If you love your job but feel saddled with enormous debt, know that there are options for available. In this guide, we’ll cover occupational therapy loan forgiveness and repayment assistance that can help you manage the overwhelm of your student loan debt. Occupational therapists who want to get their loans forgiven in a relatively short time period with no tax consequences should apply for Public Service Loan Forgiveness (PSLF). Under this program, you can work at a government agency, or a nonprofit healthcare organization or hospital and get your loans forgiven after 10 years of service. After 10 years of service at an eligible organization with 120 payments made under your belt, your remaining federal student loans may be forgiven. This can be a great option if you’re willing to work in the public sector. Depending on the size of your debt, it may seem completely unmanageable. If that’s the case, signing up for income-driven repayment (IDR) can help. Under IDR, your monthly payments are set at a specific percentage of your discretionary income, between 10 to 20 percent based on your plan. Each of these repayment options has their own eligibility requirements so it’s best to talk to your loan servicer about what’s the best fit. Just be aware that you’ll be liable for taxes related to your forgiven loans under IDR. Many of the health-related forgiveness programs afforded to doctors and nurses don’t extend to occupational therapists. But with the Indian Health Service loan repayment program, occupational therapists are eligible. Under this occupational therapy loan forgiveness program, you can get up to $40,000 in student loan repayment assistance after serving two years in facilities that work with American Indians and Alaska Native communities. Opportunities are based on the needs of the community. If working in the public sector or paying your loans for up to 25 years isn’t part of your plans, you might want to look at refinancing your student loans. Though this route isn’t technically occupational therapy loan forgiveness, it can help you get out of debt faster. How? Refinancing works by providing you with a refinanced loan at a lower interest rate. That loan pays off your student loans. Then, you have just the one refinancing loan at a lower interest and different repayment term. In some cases, you could save thousands of dollars over the life of your loan. Using the extra dough, you can obliterate part of your principal balance, too. Check out our cash back bonuses that help you score some extra money. Just be aware that though this option is great for saving money, you will give up the option to pursue PSLF or IDR. Additionally, each refinancing company has their own eligibility requirements, but many of them allow you to check your prospective rate before applying. In some cases, you may be able to get occupational therapy student loan repayment assistance from your employer. 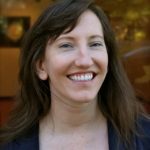 In the blog OTPotential.com, writer Sarah Lyon wrote how she was offered $2,000 for student loan assistance from her employer but was able to negotiate higher up to $6,000. A quick look on job site, Indeed, shows that many employers looking for occupational therapists offer occupational therapy loan forgiveness jobs. For example, a job through Aegis Therapies offers up to $15,000 in student loan repayment assistance as part of its benefits package. Unfortunately, occupational therapy doesn’t have a ton of loan forgiveness options like some other health-related professions. Though there has definitely been a push to try and recognize the need for occupational therapy loan forgiveness and repayment assistance. Years ago, the American Occupational Therapy Association got authorization for loan forgiveness of $10,000 over a five-year period for qualified OTs working in specific fields. Unfortunately, the program was not funded by Congress so there is no funding available. But not all is lost. You can check out the programs above to get help or check-in with us about your student loan options. For many of our clients, we recommend the PSLF or PAYE or REPAYE options, but of course, it depends on your situation. For example, we work with an occupational therapist who is focusing on retirement; she has $180,000 in debt and is on the PAYE program pursuing PSLF. We’ve determined that she’s saved $16,000 with our help. We can help you, too, no matter your situation. Want additional help? Get in touch about a custom student loan plan tailored to your specific situation. Will you try to use any of these occupational therapy loan forgiveness options? Comment below.